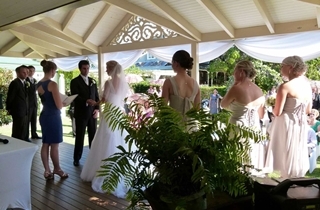 Wedding ceremonies have never been more easy to arrange as they are at Reid’s Place. 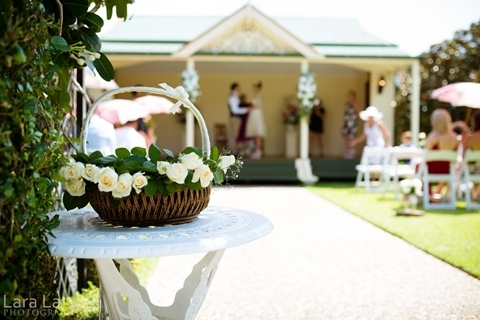 Located in the heart of Redcliffe Peninsula, Reid’s Place in Scarborough offers a colonial homestead, “Camellia Cottage” wedding night accommodation, award winning beautiful gardens and a stunning wedding chapel. 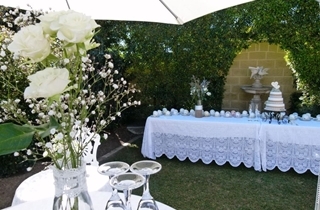 Your wedding day will not only be memorable, it will take place within a delightfully boutique, private and beautiful garden setting. 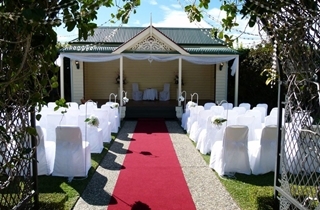 Wedding ceremony packages to suit every budget. 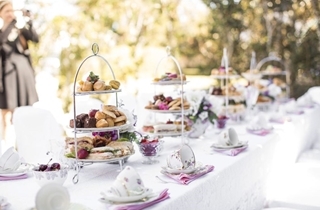 Vintage High Tea or Canape’ reception celebration packages. Visit us. 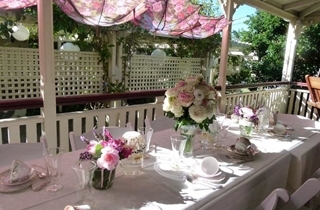 Let us show you how memorable and special your wedding day will be at Reid’s Place. 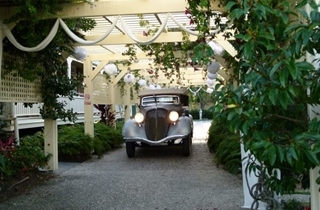 Reid’s Place has been in the wedding industry since 1995. We have gained a lot of experience over the years. Every wedding is unique, and we strive to keep that uniqueness. 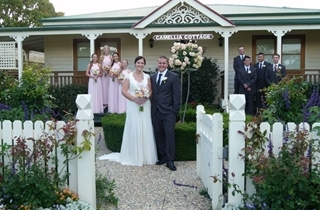 Our aim is to maintain a stress free day with endless photo opportunities, a day full of wonderful memories. 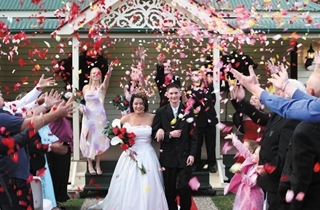 At the end of the day, you have your memories, your photographs, and your marriage certificate. Ceremony any day of the week.